﻿ Distinguishing Mortgage Shopping Sites From Gotcha Sites: Which Is Bankrate? The multi-lender mortgage loan site at Bankrate.com is less a shopping site facilitating competition than a “gotcha” site designed to avoid it, though the site does have an important shopping feature. A mortgage-shopping site is designed to allow a potential borrower to select the best offer from a competing group of lenders before contacting one, avoiding the sales process. Shopping sites are multi-lender but not all multi-lender sites are shopping sites. A site can provide information about multiple lenders without providing the tools and information needed to shop them effectively. A mortgage-gotcha site is one designed to induce the user to contact a lender, at which point a one-on-one sale process can begin. That process aims to convert users into customers while dissuading them from looking elsewhere. In sum, a shopping site is designed to facilitate competition while a gotcha site is designed to avoid it. All single-lender sites and most multi-lender sites are gotcha sites. While they differ widely in the quality of information they offer users, they all have the same objective: to induce the user to contact one lender and stop looking elsewhere. These thoughts are prompted by a recent visit I made to Bankrate.com, a heavily trafficked consumer site. When I last visited some years ago, it was a very simple multi-lender gotcha site. The current version is light-years better, more information on mortgage features is provided, and it now looks like a mortgage shopping site – but is it one? That depends on whether or not it now meets the requirements of a shopping site. Posted Prices: Shopping sites display prices obtained directly from or consistent with each lender’s internal pricing system. The alternative is to have prices entered independently of the lender’s pricing system, perhaps by loan officers, which may or may not be valid. This was the case with the earlier version of the Bankrate site, which was highly vulnerable to “low-balling” – the practice of setting prices below the market to snare unwary borrowers, then raising them later on one or another pretext. The current version of Bankrate displays posted prices and is not subject to low-balling. Real-Time Prices: Prices on a shopping site should always be live. This means that whenever a lender posts new prices on its own site or for its loan officers, prices on the multi-lender site change automatically and simultaneously. As far as I can determine, Bankrate displays real-time prices. Complete Prices: Prices on a shopping site should include all charges that affect borrowers. Bankrate does show charges expressed as a percent of the loan (points), and fixed-dollar charges. On adjustable rate mortgages (ARMs), however, Bankrate doesn’t show the current value of the rate index used by the ARM, the lender’s margin, rate adjustment caps, and maximum and minimum rates. This is critical information for anyone contemplating an ARM. Fully-Adjusted Prices: Prices on a shopping site must be adjusted for all transaction features that affect the price. This includes loan purpose, property value, down payment, loan amount, property zip code, credit score, property type, occupancy type, lock period, and escrow waiver. For a borrower, fully adjusted prices makes the price quotations from different lenders comparable – and therefore shopable. This is where Bankrate falls short. It does not adjust the prices it displays for different property types, for occupancy versus investment, for cash-out versus no-cash refinances, for different lock periods, or for escrow waivers. To obtain a completely adjusted price quote, the user must request it from a selected lender and provide contact information to that lender. On providing contact information, the user is told “One of our experts will follow up shortly to provide a FREE personalized rate quote…” This is a gotcha feature. On the other hand, Bankrate does help the user select that one lender. Bankrate shows the APRs of every lender based on the transaction features entered by the user and (presumably) a set of standardized assumptions for those features that users cannot specify. 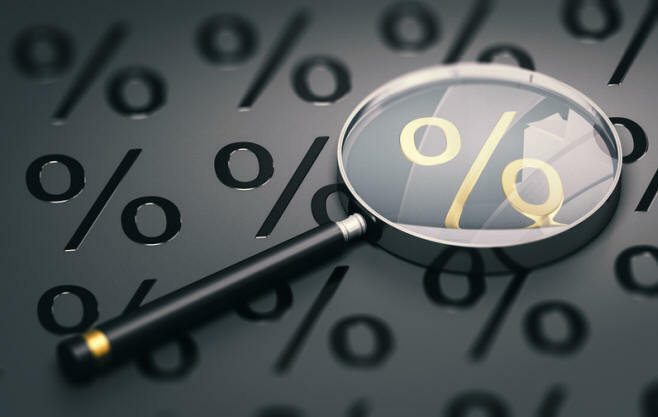 The APR is not the best way to do this, but it does assure that the prices of the lender chosen are favorable relative to the other lenders on the site. This is a shopping feature – the only shopping feature. Note that the standardized assumptions are without doubt the most favorable available. For example, the property assumed in pricing the loan is single-family, not 4-family or condo, which would be priced higher. Price Monitoring: An effective shopping site allows the user to monitor the price of the selected lender until it is locked, which might take a few days, or a few weeks. Until the loan is locked, the price will float with the market, and the user who cannot monitor the price changes cannot verify that the locked price is identical to the price the lender is currently quoting on identical new loans. Bankrate does not offer price monitoring. Decision Support: Many borrowers need help in making decisions about the type of mortgage, and the combination of upfront fees and interest rate that best meets their needs. Borrowers should have information on the impact of different mortgage options on their future wealth. Bankrate does not provide this. In sum, Bankrate is a much-improved site and has added a useful shopping feature, but it remains more of a gotcha site than a shopping site. Full disclosure department: I have a mortgage shopping site which can be viewed as competitive with Bankrate.